Once upon a time there was a forest. 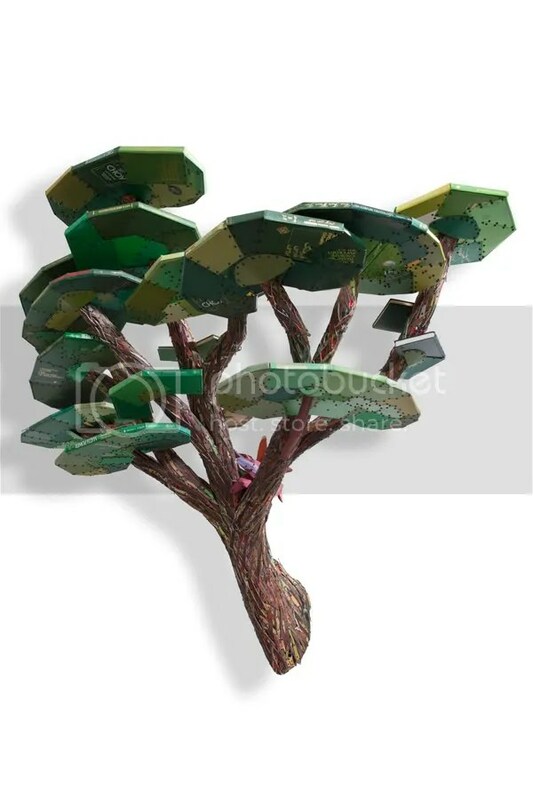 Its trees were turned into books. And some of those books became a handcrafted echo of that forest. I stumbled across Federico Uribe in a horrible article about private libraries built for show. 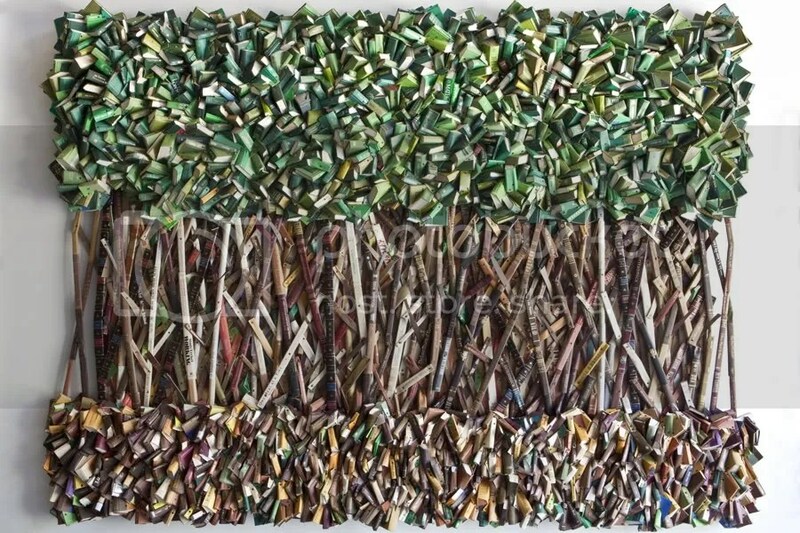 While the wealthy “recycle” books to puff up their image, Uribe uses discarded books to create art. 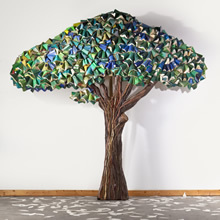 In his 2010 installation, “Once Upon A Time,” he takes the recycling full circle by making trees out of books. 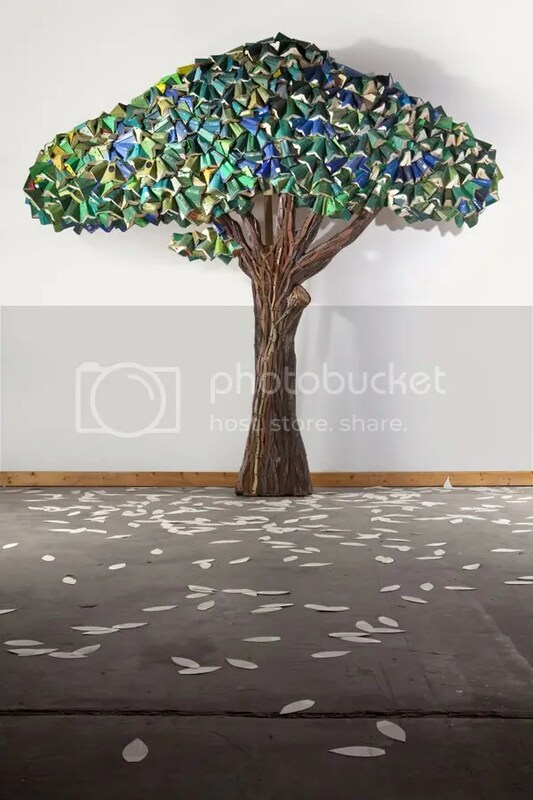 As an ecologist I love that he has trees representing a diversity of global ecosystems, and has populated his book forest with a variety of animals—birds, butterflies, squirrels, frogs, and spiders. Below is just a little taste of the exhibition. I highly recommend viewing the slide show and virtual tour for much more. 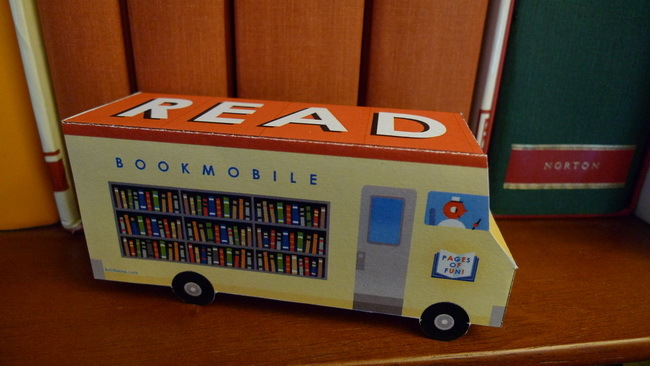 This entry was posted in Book Arts. These are superb and I would have missed them completely if you hadn't written about them. Many thanks. If you mean this, cute one, yes I saw it yesterday, but was too “busy” with Brideshead! Annie, you're welcome, I'm glad I discovered them too! 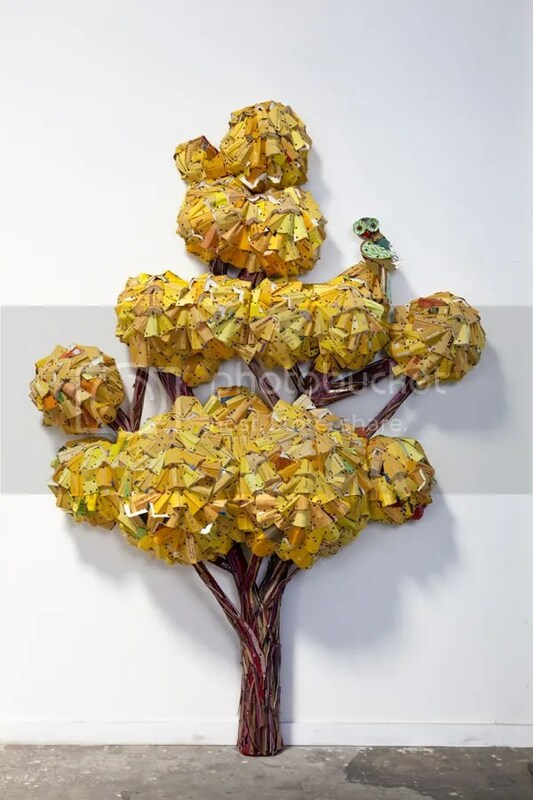 This is a very creative way of creating art! mattandjojan, yes, it's a great idea and a beautiful result! and thought I should check things out. I like what I see so now i’m following you. Look forward to looking over your web page again. Thanks for visiting, great, hope you enjoy it!